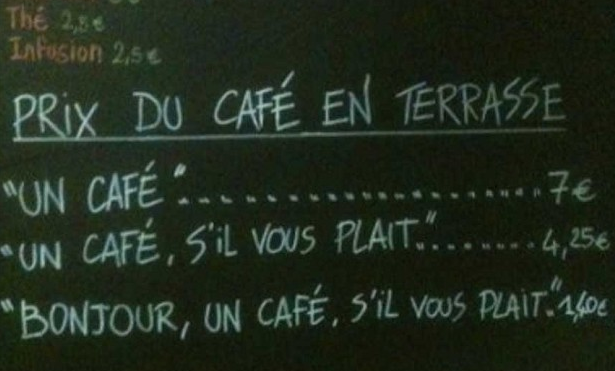 Rude customers to pay more for coffee in French cafe – Love PR? 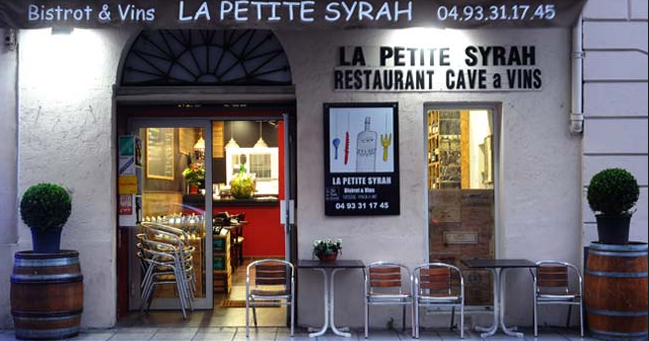 The Petite Syrah café in Nice, on the French Riviera, is charging customers €7 for ‘a coffee’, but a more affordable €4.25 for a ‘a coffee please’ and a much more affordable €1.40 for those who greet the server. The charges are all outlined to customers on a board behind the counter. Mr Pepino says the sign has been a success. He’s never actually had to enforce the novel pricing scheme, he said, but has nevertheless noticed a marked difference in the behaviour of his customers. ‘Most of my customers are regulars and they just see the funny side and exaggerate their politeness,’ he added. I’ll bet this little French cafe didn’t realise that they would receive worldwide attention when they came up with this novel pricing guide.